shared sixty year old Fatima, wife of Tayab, residing in Phul Jakhro village, Union Council Bijora, Tehsil and District Sujawal. Their son and his wife are mostly dependent upon them as well, as he only earns Rs. 50 per day. shared Fatima. Fatima’s husband initially took her to Bello and Sujawal city for treatment, travelling far distances was costly and the additional treatment costs in the hospitals were burdensome. I was in immense pain. My husband then took me to Sujawal city and the doctors advised me to get it operated upon, as the infection had grown worse and they wanted to amputate it. said a satisfied Fatima. The Maternal Neonatal Health Center is providing basic health services for the villagers residing in nearby areas, with special focus on women and children. 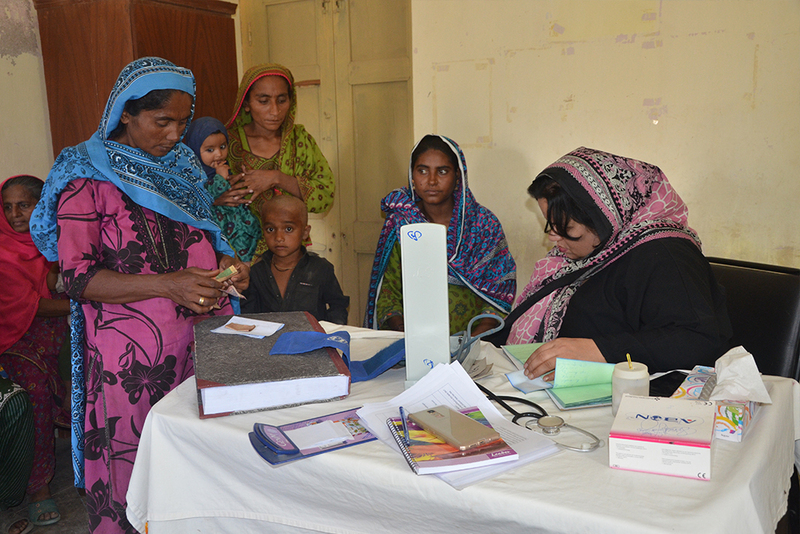 The MNCH provides good health services at very minimal cost of fees. The doctor treated my foot. The doctor treated me with injections, medicines and daily intra-septic dressing. I was treated for 15 days on regular basis. I then visited the MNCH once every week for a month. My foot healed completely and I was able to walk without pain again. The health staff at the MNCH was very cooperative and active. Fatima fully recovered and she recommends every villager residing nearby to avail timely treatment at the MNCH in Ranta village.